We are deeply committed to excel in our services and moving focus from customer satisfaction to customer delight by being sensitive to their future needs and requirements. 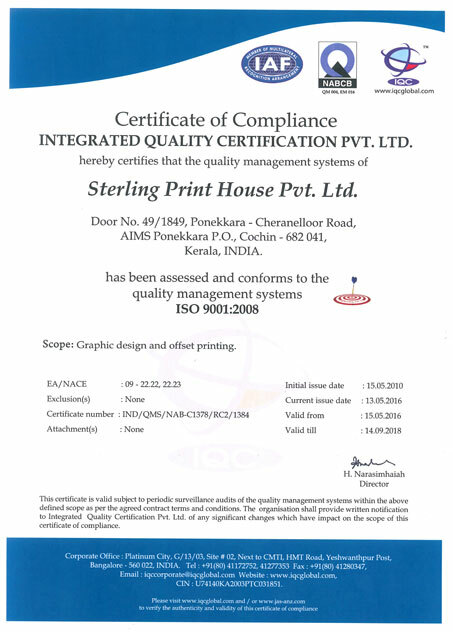 By Setting Standard: Standard has been set as per the ISO 9001:2008 International Quality Systems and has been certified from Integrated Quality Certification Pvt. Ltd. The standard is being amended from time to time whenever there is some improvement or modification in the quality system. Ensuring adherence of the Standard: Periodical Internal and External audit of the system standard is being conducted to check the compliance of the standard. Corrective and Preventive Action: Every complaint is being thoroughly investigated by our QC Dept. for its origin and reason. Necessary corrective & preventive action is being taken in consultation with the concerned departments.